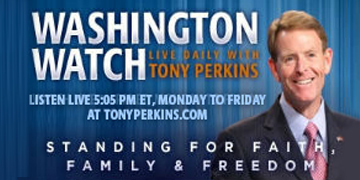 On Thursday’s edition of "Washington Watch with Tony Perkins" senior member on the House Committee on Foreign Affairs, Rep. Chris Smith (R-N.J.), joins Tony to highlight the passage of a bill to provide humanitarian aid to genocide victims. Former Ohio Secretary of State and FRC's Senior Fellow for Human Rights and Constitutional Governance Ken Blackwell joins Tony to talk about voter integrity concerns in California. FRC’s Vice President of Policy, Travis Weber, is here to discuss whether lower courts can be restricted so that only the Supreme Court handles challenges to President Trump’s policies.